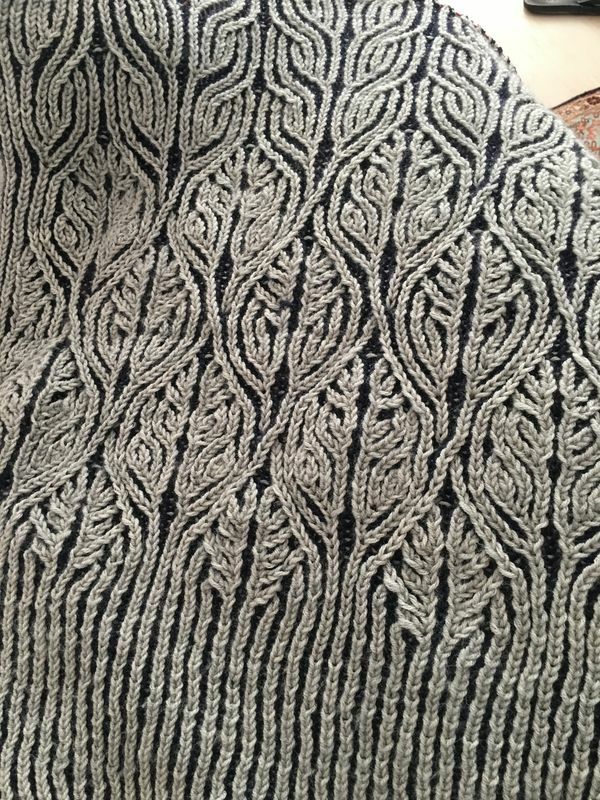 This is a stole that im knitting in two colour Brioche. Its a lovely pattern and im just enjoying doing it. Thank you for looking. Gorgeous. I hope to learn to do that type of knitting . Is it terribly hard to learn? Absolutely stunning! Your work is beautiful. Not too hard once you know it. Like everything else. But mistakes are very hard to fix so im very careful when im knitting this. But i love how the pattern emerges. Wonderful work, it looks like it's fun to do! Very stunning, you have done a great job. Lovely,another item to put on my lists of try.. Thank you for your kind comments. It is very uplifting. How beautiful. I am envious of your skill!